Businesses that are building online reputations through Google+, Facebook and Twitter along with search tools are finding their hard-earned recommendations disappearing, impacting their reputation and rankings in search results. Since Google migrated Google Places to Google+ Local in May, taking Zagat along with it, adding reviews and recommendations behind the Local tab in social network, there have been problems. Some business owners complain that new reviews don't show up and others mysteriously disappear. Abel Carpet Tile and Wood had a decrease from 25 reviews to 18. Mike Fasano, company owner, began to ask clients to write reviews on Yelp instead -- but the only "problem is most people use Google to search and not Yelp." Aside from recommendations and ratings, reviews contribute to rankings of Web sites and pages in Google's organic search results. The glitch could have small businesses reducing the money they spend with Google on AdWords. Fasano said he cut his monthly spend on Google in half since the problems with recommendations and ratings began. 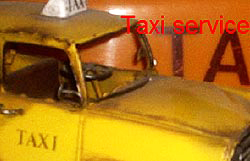 Paul Farah owns a taxi cab company in Phoenix. Until Google integrated Places into Local, he had 25 reviews. Some 22 had five stars; two negative reviews; and one with a rating, but no comment. A few weeks ago, half of the reviews disappeared from Google sites, leaving Paul's Taxi with 13. Now he has three. "I suddenly went from a five-star rating down to a one star literally overnight," he said, explaining that business has declined by one-third this weekend compared with the last few weeks. Google tries to copy old reviews when businesses migrate from Google Places accounts to a Google+ pages, but Larry Kim, founder and CTO at WordStream, admits it appears the search engine isn't migrating certain reviews that look like spam. It is also possible the migration process from Google Places to Google+ business pages is buggy and broken, and legitimate reviews are getting lost in the process. "This is really unfortunate for local businesses, because building an online reputation can take a long time, and is a tremendously valuable asset to lose," Kim said. "There are a lot of Google business pages that have old reviews on them, which leads me to believe that this is some weird bug or spam filter." As an experiment to see if a review would post, Farah created a Yahoo email account and then went down the street to Kinko's and logged into one of their computers to review his own business. It never registered. One issue seems related to new Google+ accounts. The system will not allow people to open an account and then post a review. Google explains the issues around disappearing reviews, but the problem continues. Farah isn't the only small business that is struggling. Some small business owners like Drake Hatfield, who runs Hatfield Media, a video production company in Louisville, Kentucky, got so frustrated he made a new Google+ page and decided to start the review process from scratch. Graphic designer Nick Harris explains that reviews seem to appear and disappear without notice. "This is the third time I have had to ask customers to write reviews on my Google Places page," he explains. "As a small business, this is killing me." 2 comments about "Problems With Google+ Local Harm Small Businesses". Chris Halstead from Allstate Insurance, July 19, 2012 at 3:47 p.m.
Before this change our agency had over 20 legitimate reviews that drove new business our way, there is now just 1! Do no harm Google! Are we all cattle that must be forced into your social network aspirations? Ben McLaughlin from POSA, July 29, 2012 at 11:07 a.m. This to me underlines the need, and importance for brandvocates to be employed, 'employed' being exactly the wrong word. But having a solid base of brandvocates will do most of the online monitoring, and reviewing for you. I had a look at Google explaining the dilemna, and basically you have no recourse. If they say a positive review got lost in the filters, then that's most likely where it'll stay - lost. "Start over" seems a likely comment, but in effect the online maintenance should never have stopped.